Buzzwords abound, and “self-performing” is one to become familiar with. When a contractor is hired to self-perform, it means that they will provide their direct employees to complete a portion of the construction (e.g. concrete work, steel framing, carpentry, or another specialty). Hiring a contractor to self-perform a specific aspect of construction seems like an obvious choice. These contractors typically bring in highly skilled workers who specialize in one aspect of construction. Their trade-specific experience leads to more efficient and dependable schedules, and budget information is more accurate. Research shows that self-performing construction is on the rise and its use can lead to increased access to specialized labor for building owners, which can also lead to lower end-cost and reduced risk. The industry is plagued by a shortage of skilled tradesmen so the reliance on all subcontracted labor can result in schedule delays. A self-performing contractor is more nimble and can step in quicker to supplement labor shortfalls if needed. However, there will always be naysayers (the non-self-performers) in the construction industry, and doubt about the effectiveness of self-performing. Below are the myths or perceived “disadvantages” about self-performing along with highlights of its true benefits. Confusion about self-performing contractors often leads to the spread of misinformation. One myth that seems to be making its rounds is the idea that self-performing contractors use a less-skilled workforce. This belief assumes that the self-performing contractor is picking subpar workers for the project or does not have their own in-house specialty team. In fact, it is often quite the opposite. Self-performing contractors utilize their own crew that specifically focuses on one aspect of construction. 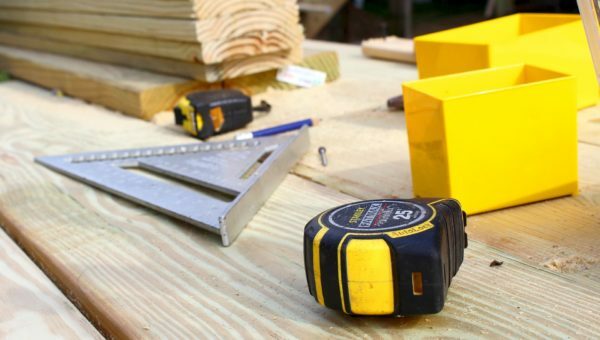 These contractors already know right off the bat how to get the required work done most effectively without having to “shop around” for subcontractors. s. This is untrue. By hiring a self-performing contractor, one layer of overhead and profit is removed from the construction cost since there is no additional general contractor fee on top of a subcontractor quotation. A skilled self-performing contractor will be a reliable source for true construction costs because of their direct involvement and experience in the construction process. Hiring a self-performing contractor for your next project will save you time and money, produce higher quality results, and improve safety. Learn more about the top three benefits of self-performing contractors below. Saving time on a project benefits everyone – the architect, contractor, engineer, developer, and of course, the owner. Generally speaking, on-site work typically starts earlier when using self-performers (because there is no waiting around for biddable documents). Because self-performing contractors utilize in-house workers, they can be more nimble, communicate more effectively, and create more realistic schedules. Wondering if there’s a “right” time to start a build project? Learn more. Along with time saved, a few other perks from increased efficiencies help reduce overall costs. A self-performing contractor has prior expertise with overseeing one trade in its entirety (e.g. concrete work from preconstruction all the way to construction completion). These contractors have accumulated a breadth of knowledge on materials, labor requirements, and market variations that may affect the project. Having this expertise allows a self-performing contractor to be a valuable resource for value-engineered ideas to save the client time and money on the project. Increased efficiency might be the greatest benefit of choosing a self-performing concrete contractor. Just as a modern-day assembly line works at an industrial manufacturing plant, when you have specialized teams of people working on only one element or material of the final product, you start seeing massive improvements in efficiency. The only other way to see greater efficacies than this is if the self-performing concrete team is also part of an integrated design-build firm. Sticking to the industrial factory analogy previously used, the integrated design-build team would be the entire assembly line. Want to know more about the benefits of using design-build? Here are 4 reasons to use an integrated design-build firm for your next project. Perhaps an over-looked advantage of working with self-performing contractors is the improved safety witnessed on-site. A concrete specialist team working as one unit for the larger firm they are employed under represent this firm’s high safety expectations while on the project site. This sets the standard for other subcontractors and provides a safer environment overall. Looking for more tips on safety? Check out these 7 tips to improve construction safety. When choosing the right self-performing contractor for the job, it really comes down to one question: how well have they performed on past projects? Keeping this question in mind, it doesn’t hurt to mention that VIP Structures has been awarded an Excellence in Concrete Construction Award by the American Concrete Institute in 2013 for our Greenpac project. Interested in learning more about how VIP Structures can assist with your next project? Browse our blog for more information or contact us below. Did you enjoy reading this blog post? To stay up to date on the VIP Structures blog, subscribe to it by entering your email to the left and be the first to receive new content. Also, share it on Twitter and LinkedIn.